Here comes a very fine release from a young lady with a foot in both the modern blues and light jazz music worlds. With a dozen tracks, Skyline moves along nicely, featuring, good, solid song-writing and a powerful, soul-infused voice that holds echoes of Memphis in the mix. 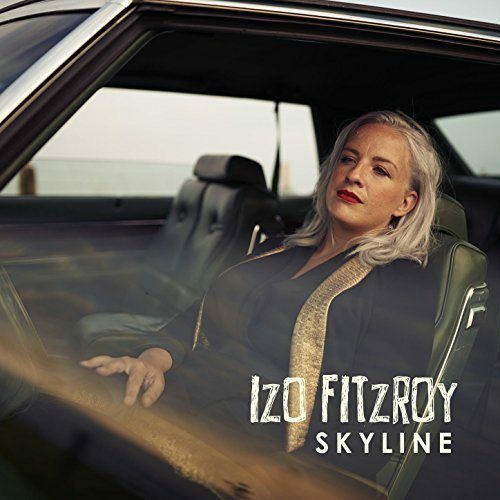 Londoner, Fitzroy cites Susan Tedeschi, Beth Hart and Janis Joplin amongst her main influences but, if anything, her voice owes its rootsy depth as much to the US soul movement and Mavis Staples with her huge gospel grounding and tradition. For many years she has been involved with UK gospel choirs and this searing, smoky soul-sound comes clearly to the fore with this release. The material here came from her own reserves following some jam session work with Jon Cleary’s band The Absolute Monster Gentleman, while she was living out in New Orleans. The swampy, funky feel of the Deep South, Louisiana heartlands bubble to the top at times here with some fine keyboards, sultry sax, drums and fretwork. Skyline is an album worth catching for those who prefer their blues with a rhythmic soul foundation.